Kegels, and prostate exercises (contracting your pelvic floor muscle) can be and should be done as much as possible and can be done anywhere at any time. If you suffer from back pain, the more you do these exercises the more your pain will subside (usually within 3 weeks). When strengthening this muscle you want to focus on creating endurance in the muscle, so clenching for long times, tighter and tighter rather than contract relax. Also when exercising the pelvic floor, be sure that you are not activating the transverse abdominus, glutes or any other nearby muscle. The multifidus must be isolated, when contracted. For women, these exercises are referred to as ‘the elevator exercise’. You simply clench as tight as you can, then as if you were going up in an elevator, you clench tighter each floor you get to. You continue as long as you can up as may floors as possible. The most recent research (over 18 years of taking samples of the actual muscles and comparing them with back pain symptoms) suggests that the multifidus muscle provides 80 percent of the spines support. 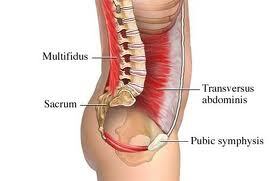 The multifidus is the core of the core muscle group you were always told to exercise. What that means is, that if your one of those people that has more back pain when you miss your exercise routine, then it’s because of atrophy to your multifidus. What they found is, that you could have a messed up back (anatomically misaligned) and no back pain IF your mutifidus was strong. People with atrophied Multifidus and aligned back structure experienced more pain and were only relieved by muscle mass increase. 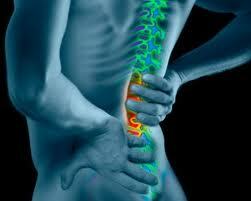 This explains why back surgery often causes more back pain after the recovery phase.